Man of the East (1972) – a light hearted Terence Hill film sees him playing a post Englishman sent to the Old West by his father to be made into a man. The script needed a little tweaking but Hill is always enjoyable and this is recommended to his fans. The film is not yet released in the US but available from Scandinavia and the Netherlands, and rumoured to be due from Koch Media in Germany later this year. 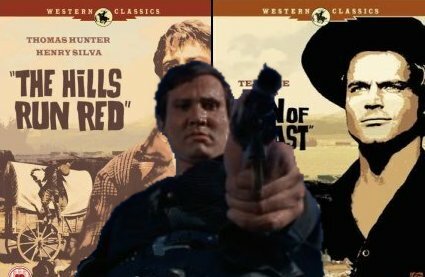 The Hills Run Red (1966) – a more serious Western from the genre’s boom year, this has not the most original storyline but the script is solid as is the direction while Henry Silva gives an outstanding performance. Previously released in the US on an identical DVD. Howdy blog fans, its that time of year again when I remember to do a proper blog post. Its been a good year so far with some new biographies proving always popular, plus some great new preview reviews from Severin (can’t wait to see what they have in line next). Its also been a bit quiet, what with me getting married and becoming the senior staff member at work – and its going to get pretty busy over the next month or two with house moving on the horizon, but I will keep the reviews coming so don’t lose faith! 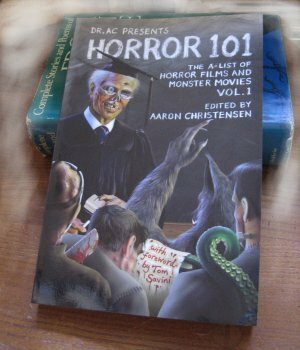 I mentioned a while ago, Horror 101 a book released by Aaron Christensen, it is basically a collection of 101 essays on horror films written by genuine fans (including myself). It is genuinely interesting and has received good reviews from the likes of Tom Savini and Joe Dante. There is more information on the official Horror 101 website and you can now buy a copy in the UK from Where Shadows Fall and in Europe from Cultreviews. I do recommend this book to horror genre newcomers but also to more experienced fans – it is very easy for folk (including myself) to get so deep into cult cinema that you forget that there are some mainstream gems out there, and this book is a good way to find out about them. 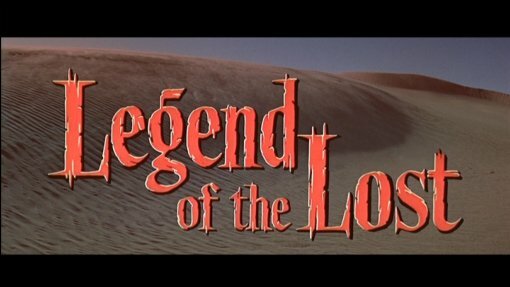 A lesser known John Wayne Sahara desert adventure is bafflingly the first release from Optimum’s Western Classics line… Still the film itself is enjoyable – provided you don’t expect any action – and Sophia Loren is always worth watching. We’ll be reviewing more from this collection throughout August. You are currently browsing the Mondo Esoterica – Blog blog archives for August, 2008.